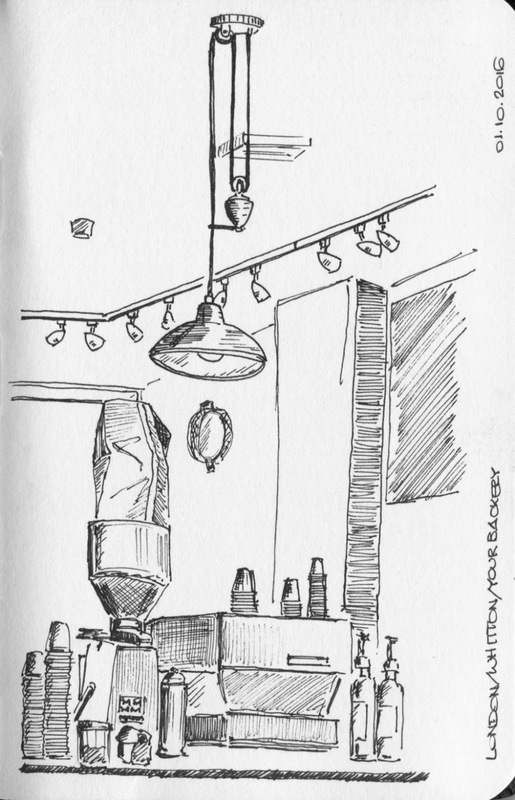 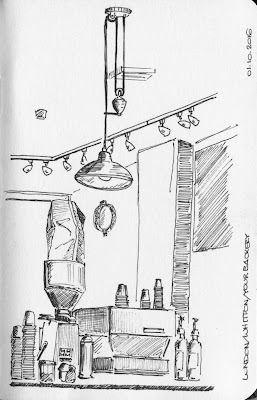 I just love to sketch in cafés. 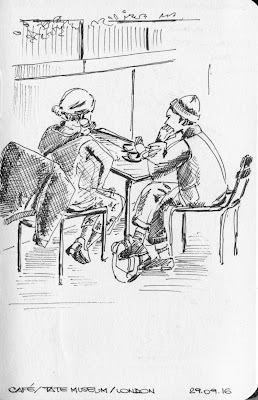 There is so much to draw: the food, the furniture, the space itself, the people, the landscape outside. It doesn't depend on weather, you can sit comfortable, drink a warm tea (or coffee) and the people don't move much. 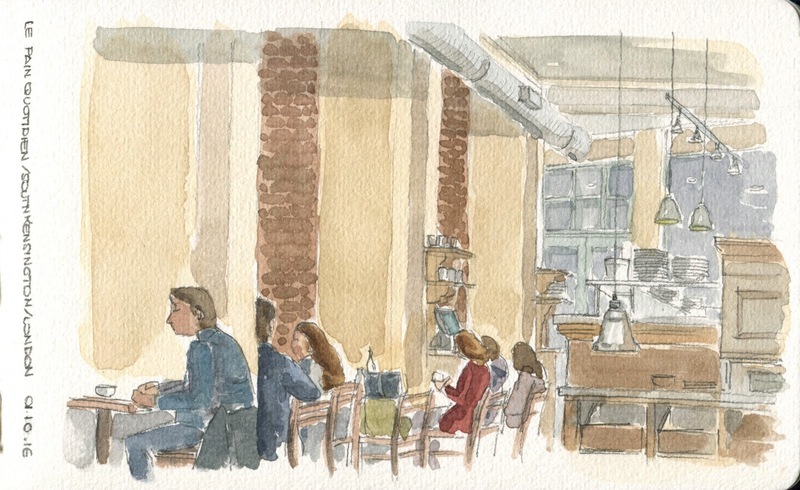 That's why I'm starting this week my new course "Sketching in Luzerner Cafés" - pictures and more information coming soon at the end of the week, when the first workshop finish.